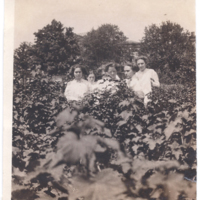 Six students of Mt Notre Dame Academy standing in a vineyard on the community's property. 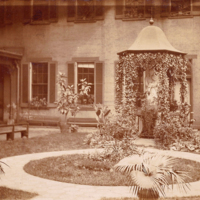 The grounds that the Sisters' purchased included ample space for their gardens, vineyard, and orchard. 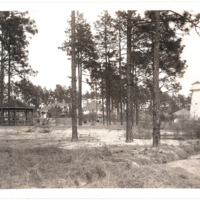 A view of the grounds at Southern Pines. 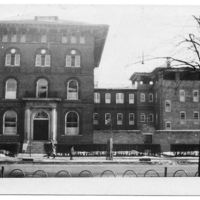 Previously known as "Pineholm", the estate that the Sisters bought included two garages, four barns, wind mills, a log-cabin gymnasium, two lakes, pine groves, and a sunken garden. 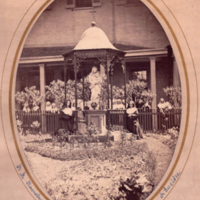 A statue depicting Mary and the infant Jesus located in the garden or courtyard at the Franklin Street convent. 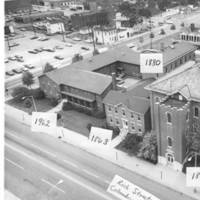 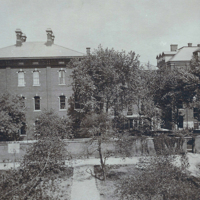 The photo was taken before the 1913 flood of the Great Miami River, which caused heavy damage to the convent and school. 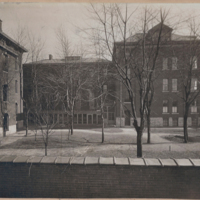 The rear of the Academy and convent used for garden spaces and an area for rest. 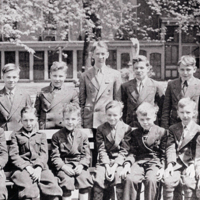 Photo of boys from the 5th and 6th grade outside in the school playground/garden. 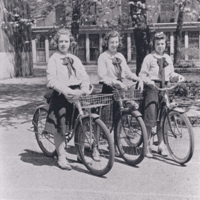 Boys' uniforms were introduced in 1931. 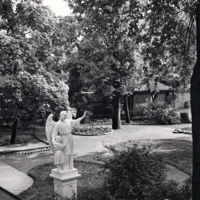 The Madonna and Child statue in the Sixth Street garden. 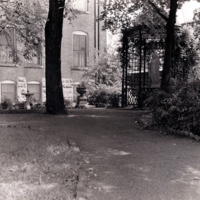 A view of the inner courtyard garden at the Sixth Street Convent in Cincinnati. 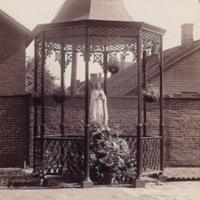 The early Sisters would let their neighbors into the garden to get water from the spring that flowed there. 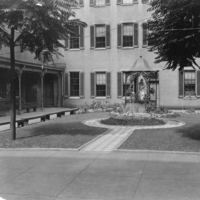 A photo of the Sixth Street community and Sisters Lucidie and Mary Stanislaus in the inner courtyard. 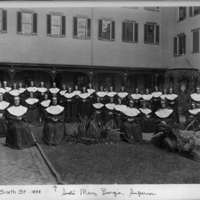 A photo of the community at Sixth Street with Superior Sister Mary Borgia. 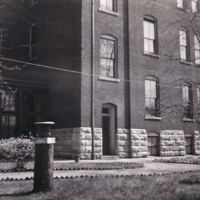 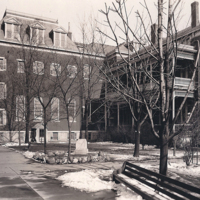 A photo of Sisters in the Sixth Street courtyard in Cincinnati. 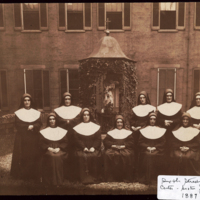 Provincial Superior, Sister Julia is in the center and Sister Martha is to her right. 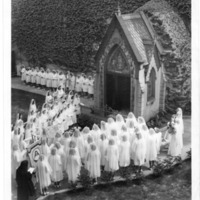 A May Procession around the Grotto of Our Lady of Lourdes Grotto in the convent garden at the Square. 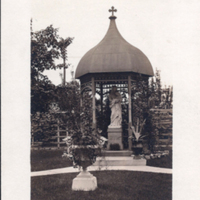 The Grotto was originally built in the 1873 and later remodeled in 1883 after Sr Julia McGroarty had a dream about the Grotto.